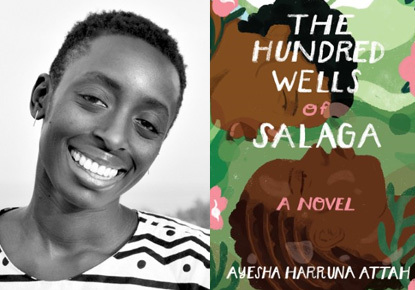 Wednesday, Feb. 20, 2019, 7 – 8:10 p.m.
Join us to hear Attah discuss her new novel, a story of courage, forgiveness, love, and freedom in precolonial Ghana, told through the eyes of two women born to vastly different fates. Ayesha Harruna Attah grew up in Accra, Ghana and was educated at Mount Holyoke College, Columbia University, and New York University. Her writing has appeared in the New York Times Magazine, Asymptote Magazine, and the 2010 Caine Prize Writers' Anthology. Attah is an Instituto Sacatar Fellow and was awarded the 2016 Miles Morland Foundation Scholarship for nonfiction. She lives in Senegal. This event is supported by The Seattle Public Library Foundation, author series sponsor Gary Kunis, and media sponsor The Seattle Times, and presented in partnership with Northwest African American Museum and Elliott Bay Book Company. Books will be available for purchase at the event.